This my last May travel post! 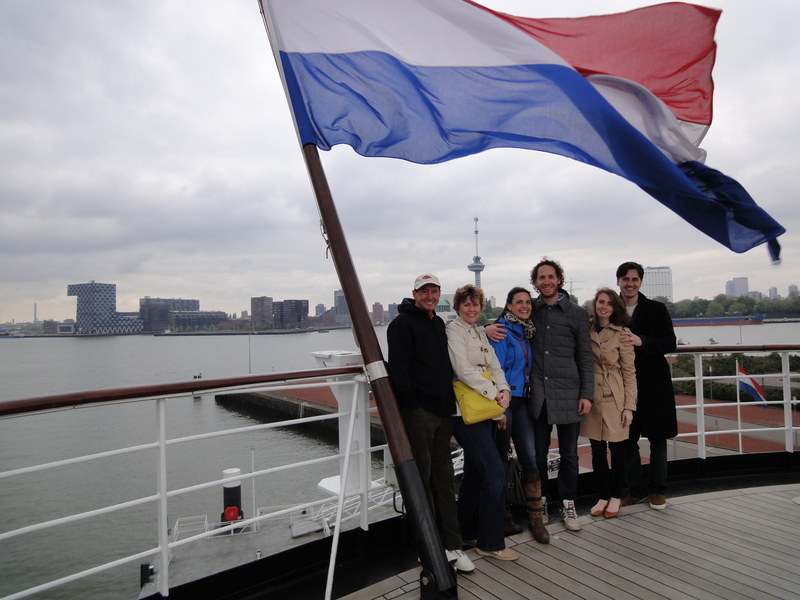 At the end of my parents’ visit, they decided to spend a couple of days in Amsterdam. Because I had the day off and my parents had a lot of luggage, I took the train with them and spent a few hours enjoying the beautiful weather and a few sites in Amsterdam with my Mom and Dad. 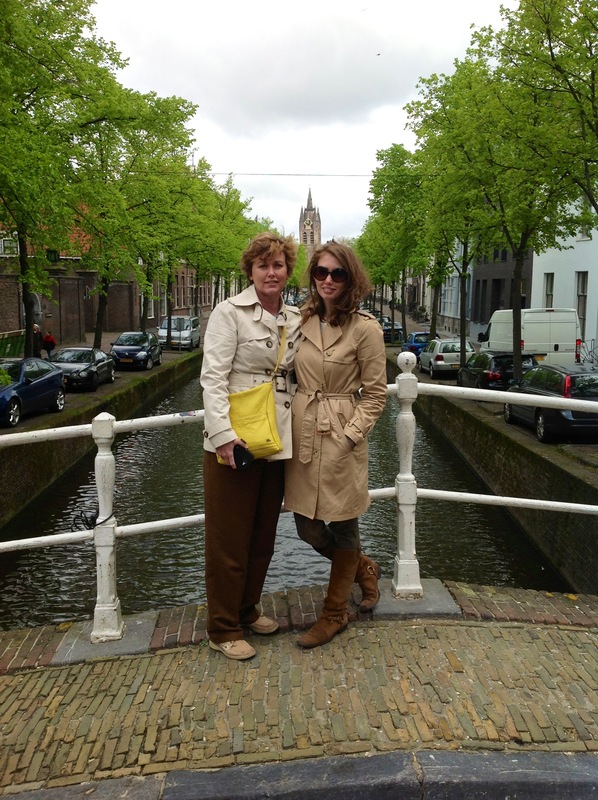 I have always considered Amsterdam one of the most beautiful cities I’ve ever visited, so I loved being able to walk along the canals, buy tulips, and eat poffertjes with my parents! At the end of my parents’ visit in May, we had to visit Arie and Petra! After eating a delicious lunch, we were surprised with a trip to Gouda! I think most Americans know Gouda because of the cheese with the same name, but Gouda is also famous for its stroopwafels, a particular favorite of my dad’s and mine. While in Gouda, we made our own stroopwafels! What a wonderful, wonderful day full of surprises and treats! In Delft, with the Oude Kerk in view! Ever since Koen and I have been together, almost 8 years ago, my mother has been dying to make a day trip to Delft in the Netherlands. Now we’ve finally made it happen! Delft is a picture perfect Dutch city known for it’s blue and white china and the painter Johannes Vermeer (Girl with a Pearl Earring). We enjoyed a wonderful day walking along the canals, lunch at ‘t Vermeertje, exploring De Koninklijke Porceleyne Fles (Royal Delft, the only remaining factory of the 32 earthenware factories that were established in Delft during the 17th century), and sampling the awardwinning Dutch pannenkoeken (pancakes) from Stads-Koffyhuis. 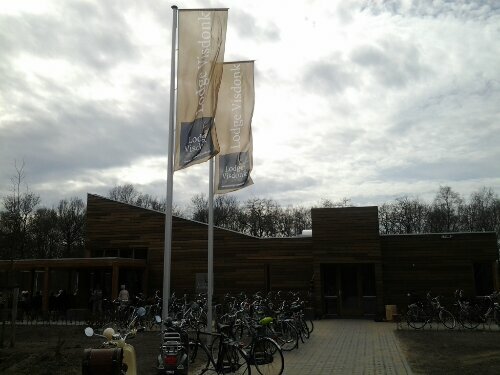 While my parents were over, Dook (my father-in-law) took us to Arcen, Netherlands to visit the Hertog Jan brewery. Arcen is a beautiful village in the Dutch province of Limburg. 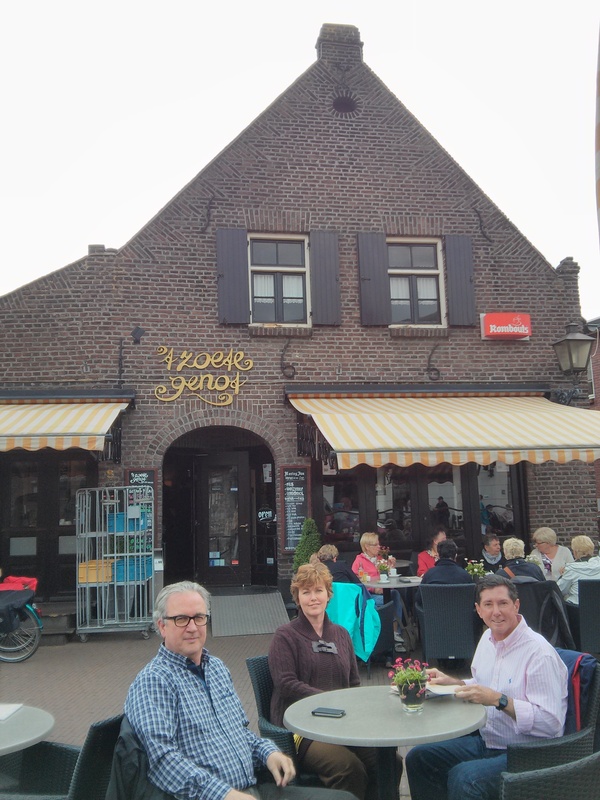 Before visiting the brewery, we stopped for lunch in the center of the village at ‘t Zoete Genot. White asparagus is eaten from late April to June, so May is the perfect time to enjoy the asparagus. In the Netherlands, there are two areas where white asparagus is grown, one of them being Limburg. Because of our proximity to the asparagus fields, we enjoyed a delicious, fresh white asparagus themed lunch! Family photo at the Hofvijver! 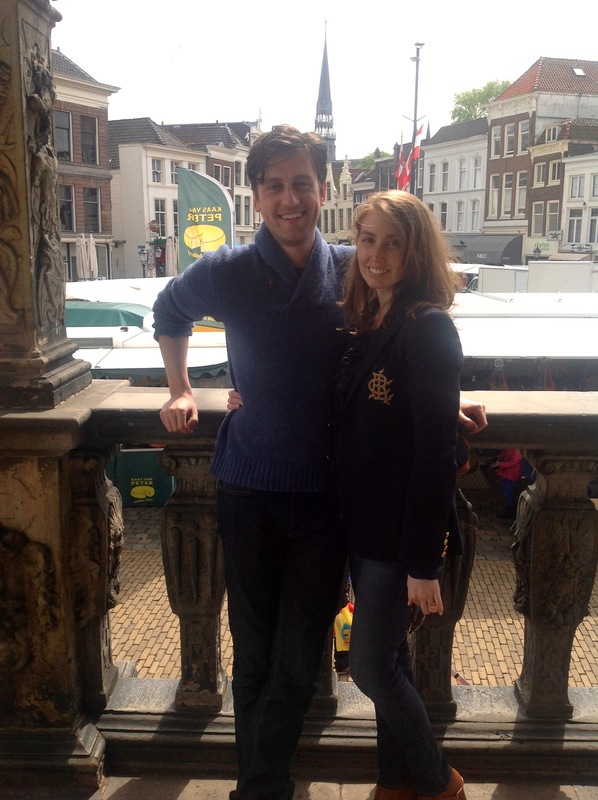 Since I have met Koen, I have always wanted to visit The Hague! For one reason or another, every plan we’ve made to visit has fallen through…until now! 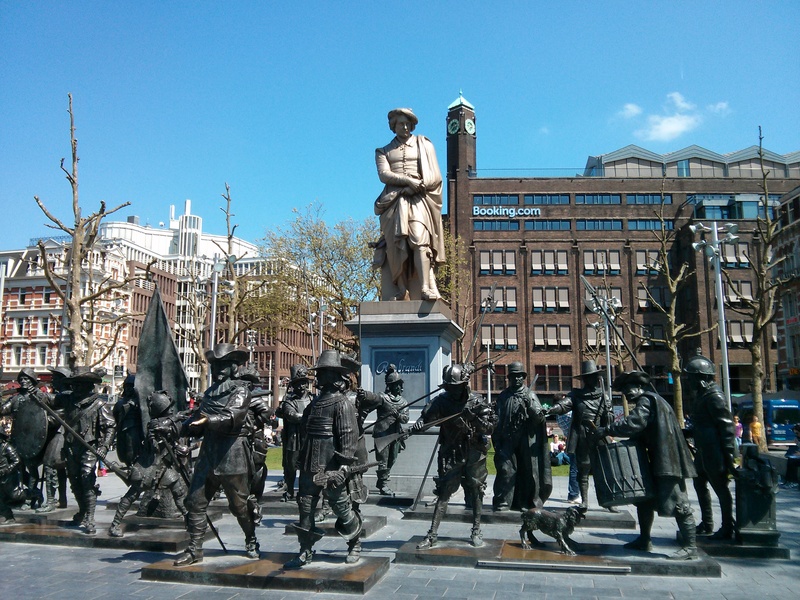 The Hague is such a beautiful city, and I can’t wait to go back. There is so much still to see! 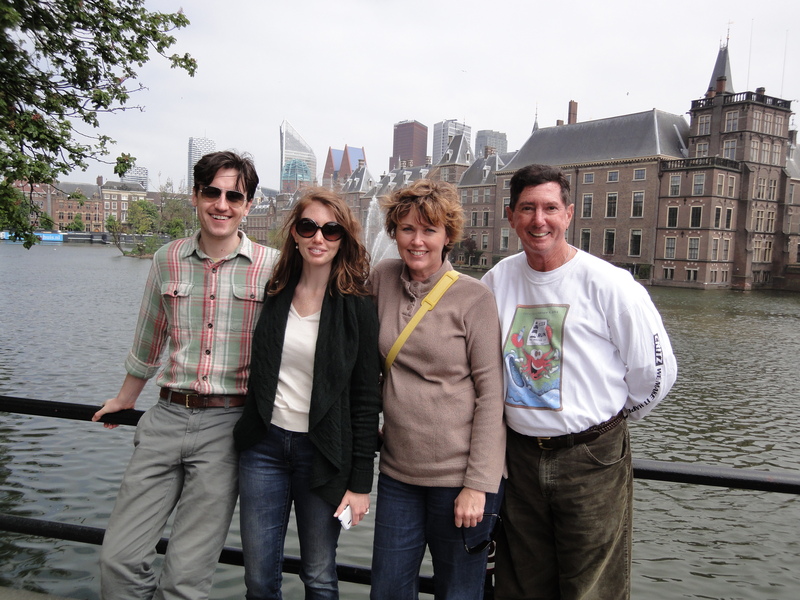 With my parent in May, we were able to see the city, but next time I’ll be going to the Escher Museum, Peace Palace, and Mauritshuis (if it’s open!). Yesterday was a holiday in Belgium, Dag van de Arbeid (Labor Day), and Koen and I enjoyed the sunny 65 degree weather by taking a long walk around Antwerp. 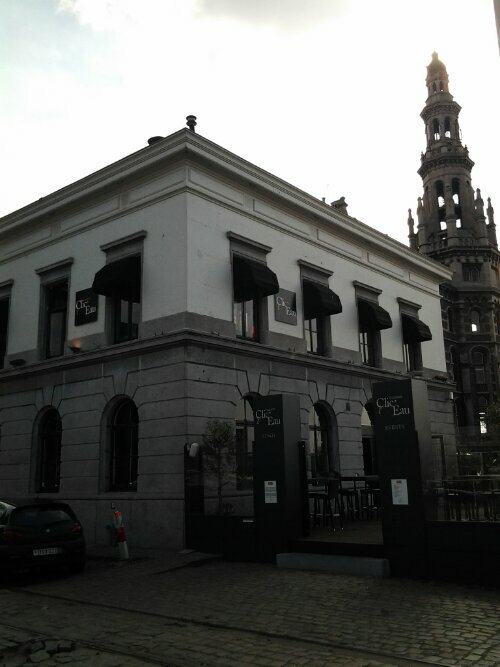 We walked first through the Groenplaats and the Grote Markt, then to ‘t Eijlandje. Not quite ready to return home, we decided to try out a new restaurant, Maison Clic’Eau, to enjoy a few drinks on the terrace. 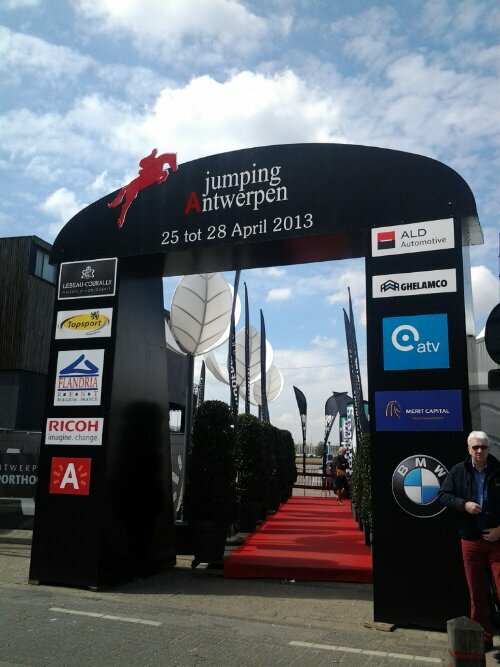 This past Sunday, Koen and I were invited by a friend to enjoy Jumping Antwerpen, a horse jumping event located in downtown Antwerp by the harbor. We had never been to any sort of horse event, so we gladly decided to attend! The weather was great and we really enjoyed watching the events! To celebrate Koen’s new job, Koen’s parents took us out to the newest restaurant in Roosendaal, Lodge Visdonk. I really enjoyed the Twin Peaks atmosphere and a delicious lunch! Sofie and me arriving by train in Roosendaal, waiting to be picked up so we can make our way to Vlissingen!